Saint Lucia lived in Italy, in the 3rd century and she was a devout Christian. She refused to marry the pagan man appointed to her by her parents and was sentenced to death and tortured. To symbolise the blood shed, the Swedish Lucia wears a red ribbon around her waist. 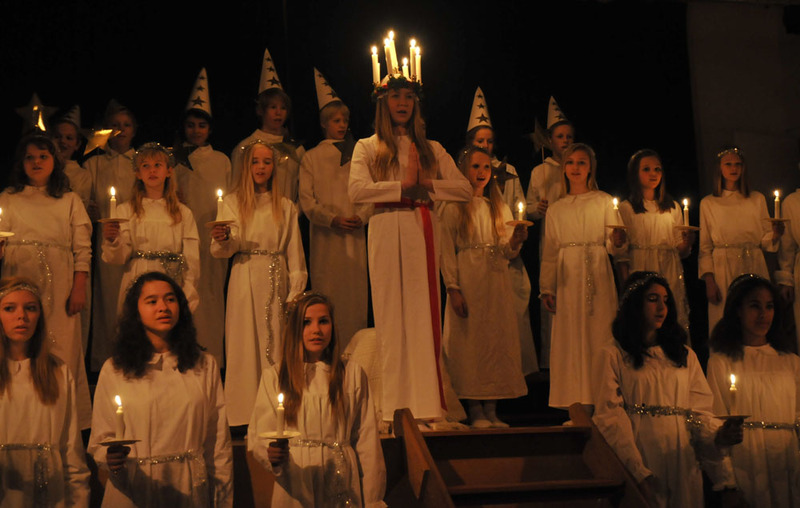 Lucia brings light and joy in the Swedish dark days of winter as we await the joy of Christmas. And last but not least Lucia brings Lussebullar, a traditional kind of bun made with saffron that every Swede eats a lot of this day and all through the Christmas period! 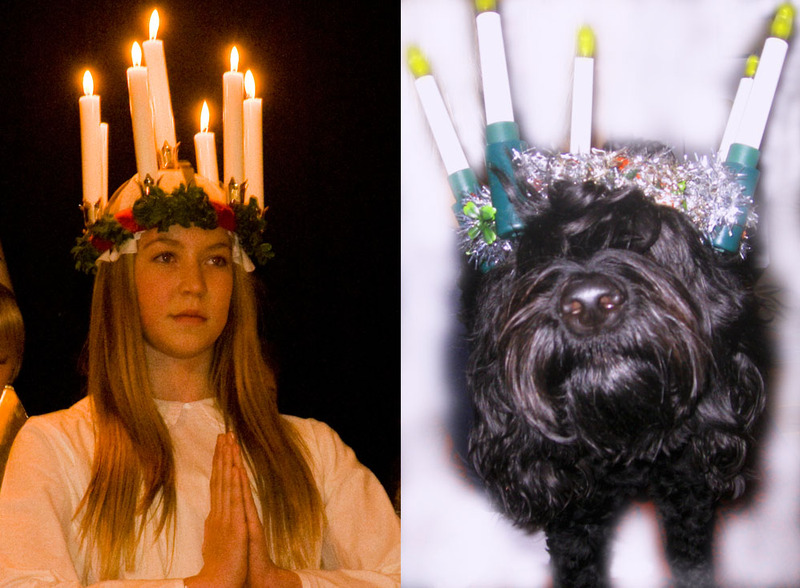 Vilka fina Lucia-flickor vi har Du och jag syrran! Hälsa Anna. Så fin hon var som Lucia.Krama Yatzie. Nu har Ruffa skrivit om parningen på sin blogg också - so the word is out! Hoppas vi får till en stund för lek och bus i snön innan du far till Holland igen! Anna looks like an angel! !